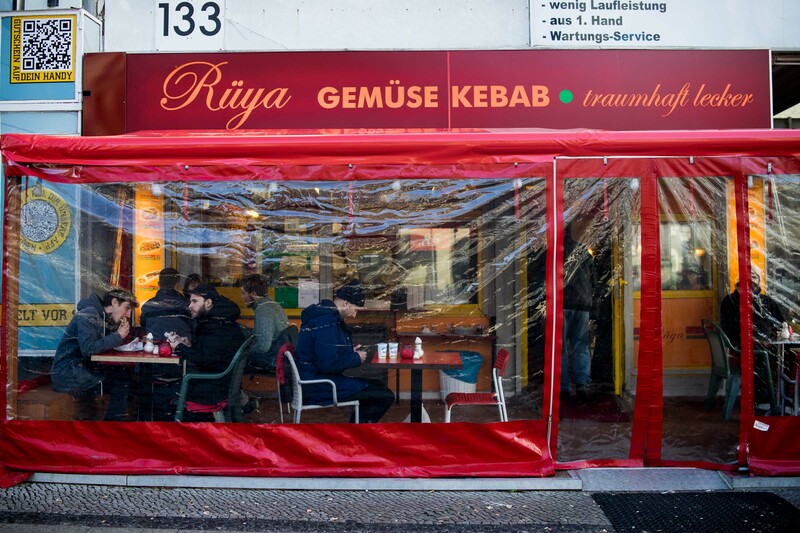 Rüya is a Döner Kebab imbiss in Schöneberg, entirely off the hipster grid, hidden in plain sight on a main street and really one of the strongest contenders for the the best chicken Döner Kebab in all of Berlin. Rüya is the kind of place that was recommended to me by a very rare breed of people that crosses my path once in a while: The indigenous Berliner. The originals. Because face it, we’re all just wannabees in the end. 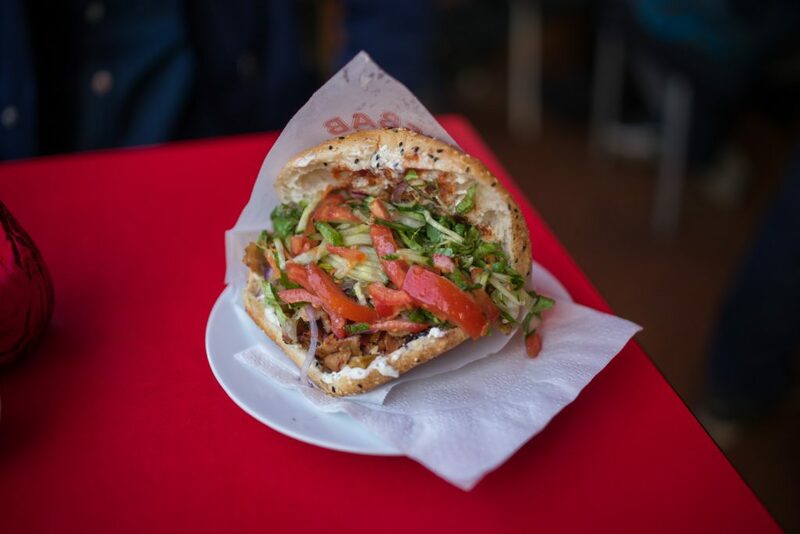 The knowledge of the best Döner kebabs, currywursts and buletten often resides with the people that have been around longer than a couple of years. Good news is you don’t have to stand in any lines, because Rüya makes a better chicken Döner than Mustafas and their line is max five minutes. 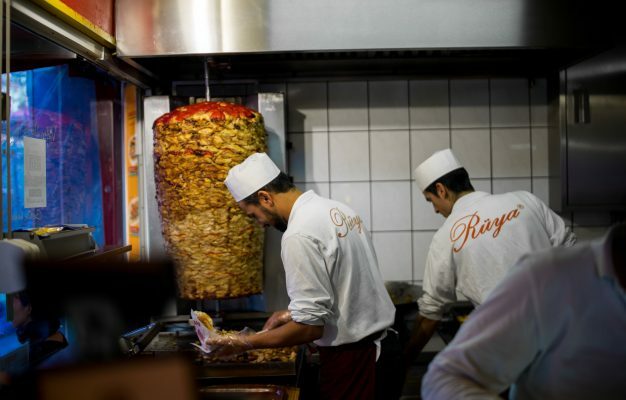 When people in Berlin talk about Döner Kebab, and more specifically about Chicken Döner, the name most frequently mentioned is Mustafas in Kreuzberg, Berlin’s most celebrated Döner Kebab and maybe also the most famous restaurant across all categories in Berlin. My take on Mustafas is like most Berliners, in order for me stand in line for 45 minutes to get a Döner, that Döner has to be so good that angels descend from the sky and start singing on the roof of Mustafas shaq. Good news is you don’t have to stand in any lines, because Rüya makes a better chicken Döner than Mustafas and their line is max five minutes. Rüya has been serving chicken Döner in Schöneberg for god knows how many years in a tiny and unassuming little imbiss on Hauptstraße. There are two tables inside and five more outside and you’re going to have to be quick to grab one of them. 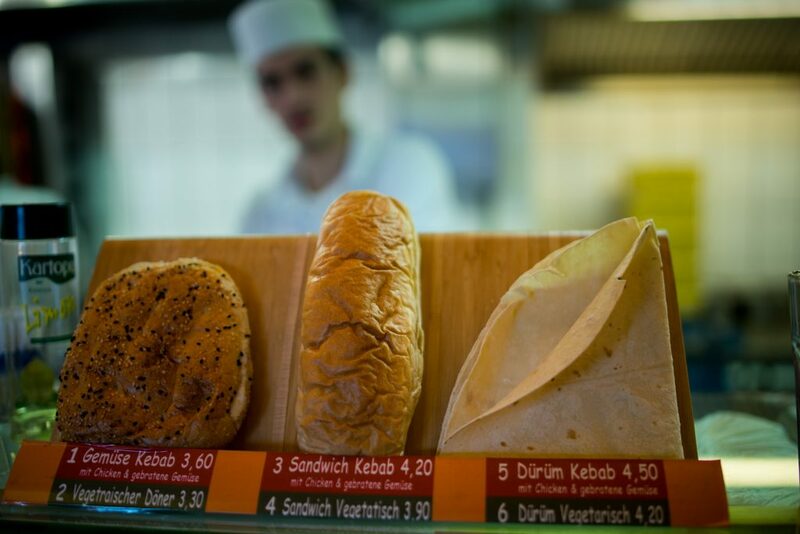 Once you’re inside you’ll be confronted with a couple of choices, what sets Rüya apart from some other competitors is that you’re in terms of bread not limited to the classic flatbread and dürüm but also can order your Döner in a sandwich, the same vessel that’s used for the Köfte Sandwiches. At Rüya I do strongly recommend going for the delicious flatbread, it’s very good. It has that perfect balance between crispiness and softness and truly stands out from the competition. Rüya serves chicken meat only and one glance at the giant, rotating döner meat skewer in this place will tell you everything you need to know: Fatty, succulent chicken meat pieces that have been rubbed with spices and layered on top of each other with the occasional red pepper, only to be crisped up by the Döner grill. Let me tell you people, this is Döner art on a high level and after you’ve tasted the chicken meat at Rüya you will inevitably feel some regret concerning your former Döner choices. I sure did. Once the chicken has been cut of the skewer with a big knife it will be put in the before mentioned bread with the sauces and condiments of your choice. 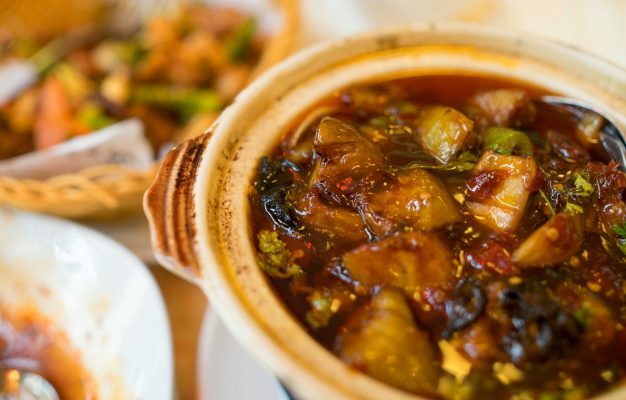 My recommendation is going for the Kräuter sauce and all of the condiments, a choice that will give you a lovely mix of tomatoes, onions, salad, grilled vegetables, a fist of fresh herbs and a spoon of crumbled Turkish white cheese. The result? 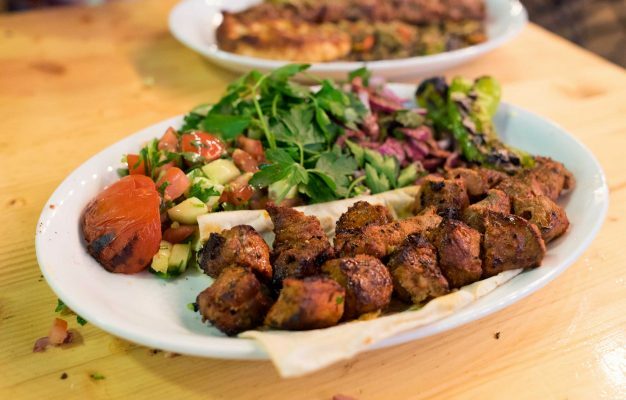 One of the most succulent and fresh Döner Kebabs in Berlin where the quality of the meat and the bread play very nicely with the fresh greens, vegetables and herbs. The only thing that’s not great at Rüya are the sauces, better than most but still a notch to sweet, especially the hot sauce. On a positive note it does pack a bit of spice though. This is Döner art on a high level and after you’ve tasted the chicken meat at Rüya you will inevitably feel some regret concerning your former Döner choices. Rüya is a gem and most definitely worth a journey from any part of Berlin. I’ll even take this to another level with a message to anyone who’s truly thinking about standing in line for 30 minutes to get a Döner at Mustafas: Don’t do it. 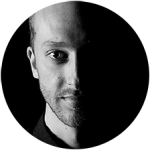 Rüya is not far away and with literally zero wait you’ll get a better product. 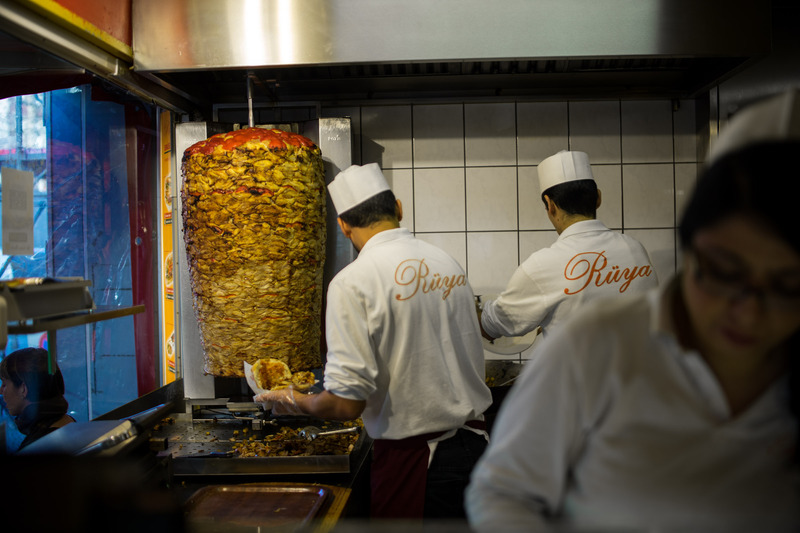 So without further ado, Rüya serves the best chicken Döner Kebab in Berlin and also enters top list of the best Döner Kebabs in Berlin at a strong number three.